Celebration LC in Cypress, Texas breaks in their new space. This Sunday I was at Celebration Cypress for their third anniversary, and Pastor Chris Markert’s 10th anniversary of ordination. They just moved out of the elementary school where they started this congregation, and into a storefront space on Barker Cypress, two miles south of 290. 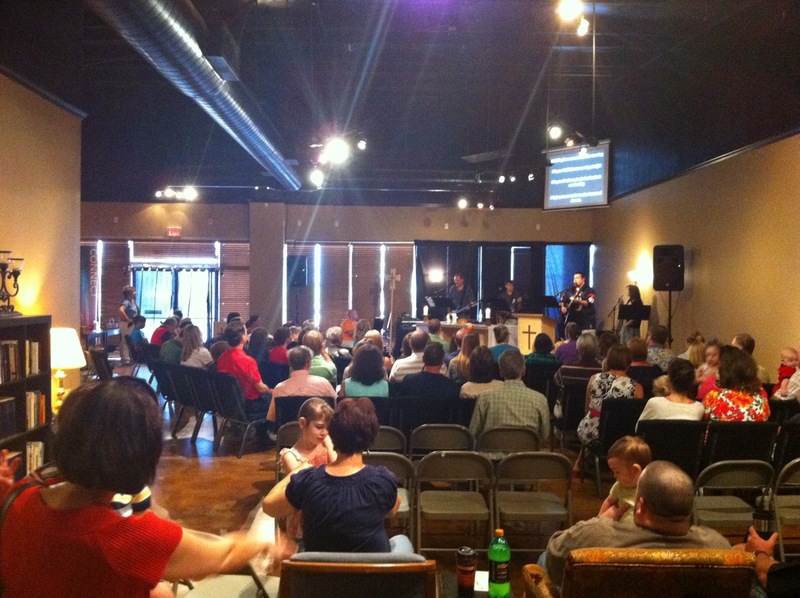 Worship attendance the last two years has hovered around 80. Since they moved into their new space it’s grown to 100. Today they had 97. Lots of children, young families and ben mimosas to celebrate. Thanks for coming, for the renewal of Chris’ vows, and for your message. Don and Carol Blue.